These are great! I didn't quite know what to expect when we first ordered them, but when they arrived we were very pleasantly surprised! Measuring 9" in diameter and made from a sturdy porcelain-- they are both very attractive and functional. I purchased one when they first came in and it sits on my desk as I write! Would not take anything for it.......LOVE IT! Beefy size, excellent for holding 3-4 pipes and great for keeping pipe tools in the bowl. Very nice piece and well made. I love this ashtray. 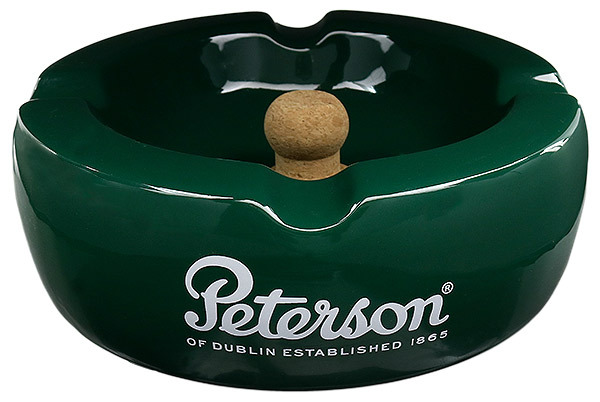 It is a welcome addition to any smoking den, and at 9 inches across, it has a nice size and plenty of heft.